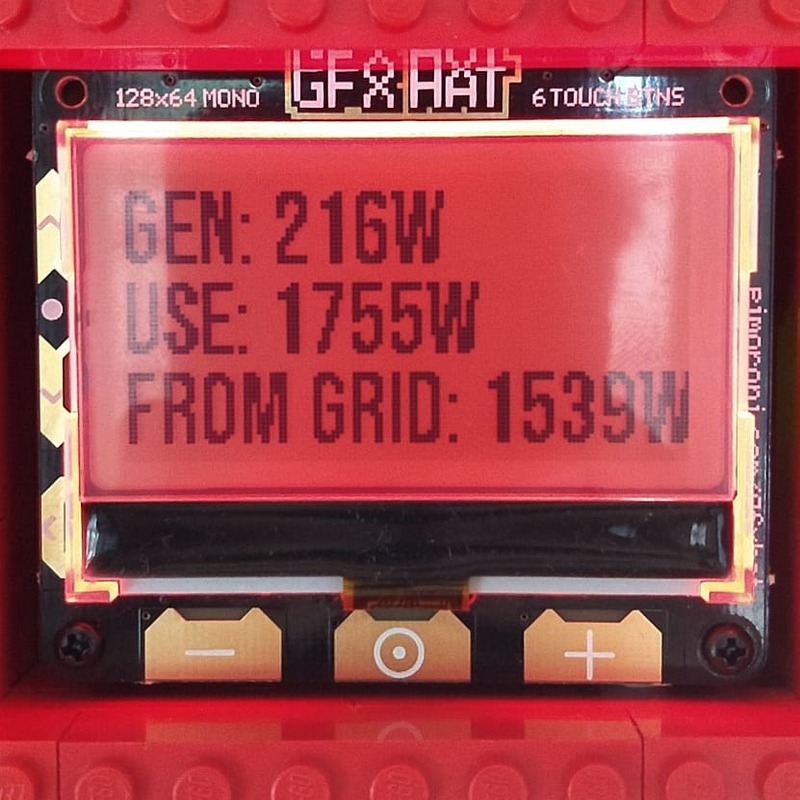 Bought a gfxhat from pimoroni and got it working with my fronius inverter with some help from a user on the pimoroni forums. This is displaying the power generation and usage of our solarpv system. The nice feature the user implemented is changing the backlight of the display to be green when the usage is lower than the generation and it turns red when the usage is higher than the generation. There is a raspberry pi zero mounted behind the display doing all the processing. 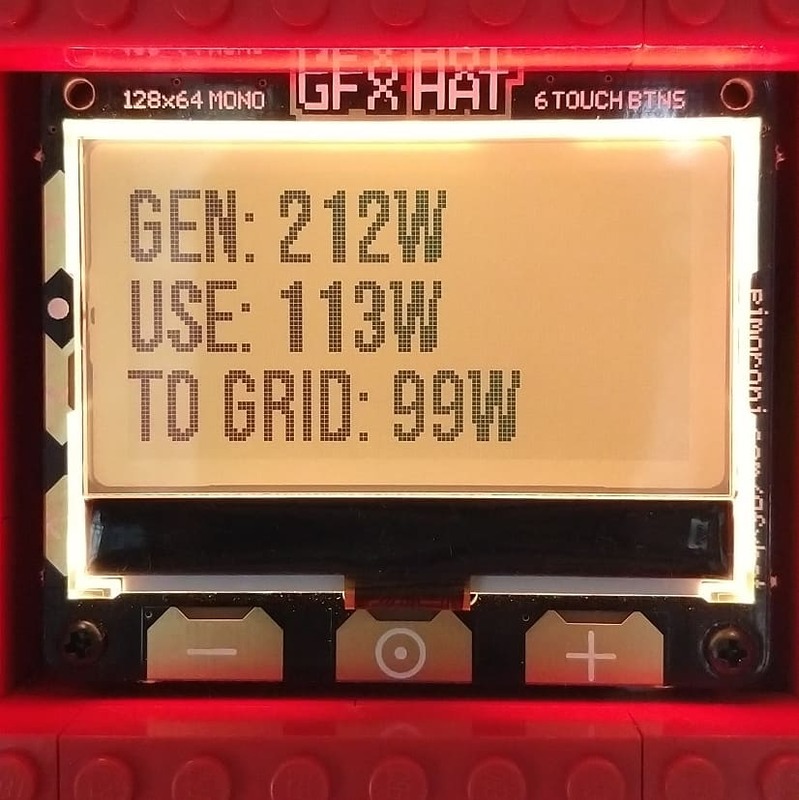 I tweaked the python code to add an extra background colour and line of text at the bottom to make it easier to see how much power we are sending to the grid/taking from the grid. I set the colour thresholds to be if sending more than 1500w to the grid, turn green, if sending between 1500w and 1w turn orange and if below 1, turn red. Also used the original Lego case design!